Today, however, will go down in the history of this voyage as the day that the fish did bite. No question about that. It was in the early afternoon, that part of the day just after lunch, when ideally one would take your Sunday afternoon nap. Like both Renier and I, for example. Dawid was on watch, when suddenly our slumbers were interrupted by his anxious shouts. We ran topsides to see what was happening. We found him standing on the aft deck, pointing at the fishing rod, unable to speak for excitement. The rod was pointing straight at the water some distance behind the boat and was only held on by the little string that tied it to the railing, with the reel shrieking away. Renier promptly sent me to the helm to get the sail furled away and the engines into astern to get into fighting the fish. By this time, which was only seconds later, almost half of the line had stripped off the reel. He applied some tension with his glove, but of no avail. He then applied the brake, on which the 35 kg breaking strain line promptly snapped with a loud crack. Renier stood there dumbfounded. Dawid was still trying to get his speech back. I had no words. I think the fish never knew it was hooked. We never even saw the fish. And thus ended our fishing for the day, all fifteen odd seconds of it. Not soon to be forgotten. 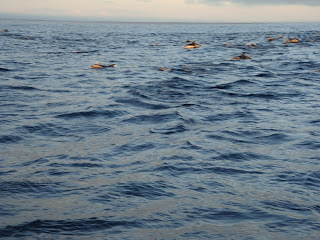 We are now less than one day away from St Helena island and are looking forward to the visit. This time around we shall take a tour of the island, especially the war graves. And, of course, have a beer. I have almost forgotten what beer tastes like. Today was my turn again at galley duty. 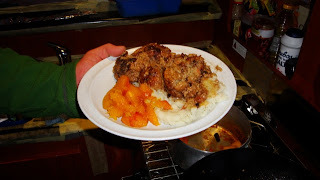 I made beef mince balls, gravy, smash and caramel butternut with cinnamon. A simple but grateful meal. The mince balls take some work, the rest is easy. Mix all the ingredients, except the beef stock, cornflour and water, thoroughly. 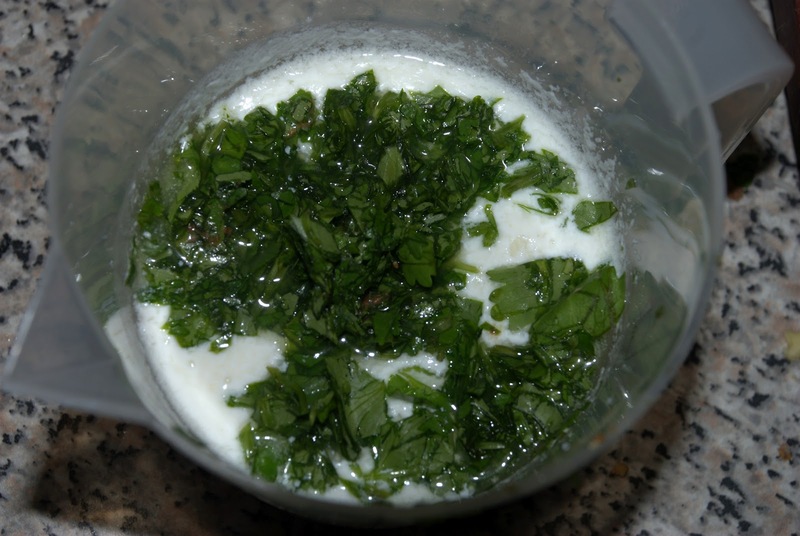 If the mixture is too dry, add a little water at a time until it can be moulded into balls. Add oats if the mixture is too runny. Make small balls of the mince mixture, roll them in the cornflour, then fry them in the oil. I use two wet dessert spoons to do this, it keeps my hands clean. Remove the fried ones from the oil and keep to one side. When all the balls are done, add all of them back to the frying pan, add the stock and water mix and simmer the meatballs for five minutes. If the dish gets too dry, add water. There is supposed to be a lot of gravy. 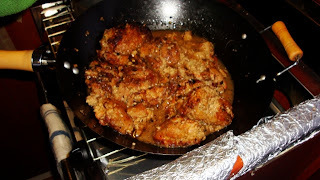 The gravy will thicken automatically from the leftover cornflour in the frying pan. I served this with smash, being the easiest accompanying dish available on board. This one is a no-brainer. Skin the butternut using a sharp potato peeler. Cut into thumb size cubes. Put these into a saucepan with about one finger depth of water. Add a royal helping of sugar on top and some cinnamon sticks. Add a little bit of salt to taste. Put the lid on and boil medium to slow until the water has boiled away and the sugar has caramelised. Dish up. This one goes well with the meat balls or any other home cooked dish. Tonight I am on early night duty. This means the 21h00 to 00h00 shift, the three hours up to midnight. Actually not too bad for one's personal routine. Dinner around six, then some socialising after dinner, while washing up, then playing cards. After that a forty winks catnap, then the stint on watch. Then you get to sleep during the bulk of the night, waking up in time to watch the sun rise over the horizon. All the other slots mean that you either work two slots in the night, or that you sleep in two stints in the night. We argued the pros and cons of the various watch duty slots, as this is the one area where everybody have the same experience after a week and can thus argue with some authority. Unlike most arguments and debates of this nature. I contend that really doesn't matter physically. It is one of those psychological things in life. 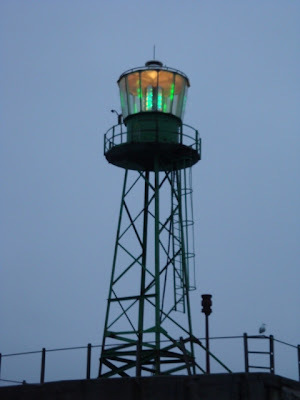 Your experience of the watch duty is largely influenced by your perspective, or world view, if you will, on whether it is good or bad to be awake in the wee hours of the night. In this instance the world view is probably dominated by the idea that one needs to sleep the prescribed eight hours per night, going to bed by nine in the evening. Or something similar. Life on board differs from this in that one has to adopt a three hour on, six hour off routine. And in the psychological sense as well. In our case, the three of us have adapted very well and life is a pleasure on board. However, I get the impression that this is the part of a long voyage that gets to people and what determines whether this life afloat suits them or not. The other major part being away and out of sight of the land. Apparently some people have a phobia related to openness, rather like the opposite of claustrophobia. And don't forget being cut off from your favourite media,but that one should not count as yo need to understand this succinctly before embarking on a voyage. Something to plan for. We are now just a day or so away from St Helena island and one can feel the excitement building. This leg of the voyage took a bit longer than expected due to a lack of wind. Even Renier, a veteran of many deliveries, got jittery with the slow progress. Hopefully we shall have more wind on the next leg of our voyage. As for the standard lunch of two minute noodles, I am happy to report that we made a major breakthrough and that this stuff needn't taste like packaging material any more. The recipe is really simple, add some mayonnaise, then some tuna and sprouts and voila! you have proper food. I have reported some of this in an earlier blog and now am confirming my findings. The sprouts are easy to grow, another delightful discovery on this voyage. Use a wide mouthed see-through jar with a breathable lid. We used plastic canning flasks, replaced the lid with some mutton cloth stretched over the mouth and kept there by an elastic band. The process is easy. 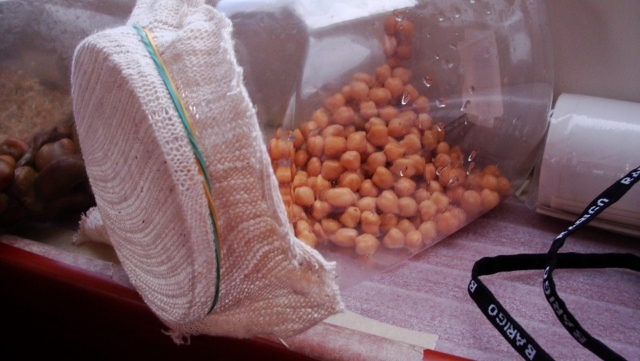 Take a spoonful of seed of your choice and soak them overnight in the jar in lukewarm water. Drain the water from the jar and leave the jar on it's side in a warm place. Rinse the seeds once or twice every day, thereby keeping them moist. Rather like watering the garden. The sprouts should be ready to eat after three days. Or when your appetite gets the better of you. There is quite a variety of seeds suitable for growing like this, it is light to pack, easy to grow and makes a nourishing addition to any meal. Not to mention that you basically then have fresh veggies every day. Very economical at home too, it is much cheaper than buying the grown sprouts from your greengrocer. The umpteenth day dawning under grey skies, the sea a leaden colour. Magnificent light for a photographer, hardly any shadows around. The wind is moderate, making little foam patches here and there, showing the Atlantic in a steely shade, reflecting a brooding mood. The weather looking a bit like rain, except it doesn't. The temperature still on the cool side in the mornings and whenever the wind freshens. At night the scene changes from gray to silver. The moon is now waxing towards half a moon, shining directly overhead. Between the moon and the clouds the sea is painted in the most romantic soft shades of silver. Another boon to the avid photographer, except the boat is moving and photography is out unless one has very specialised equipment. At home you would curl up with a book and a full bodied red wine by the hearth, having a friendly fire with orange tongues licking at the logs, painting curly shapes against the wall. Out here it is but a dream. Of which we have an abundance. Especially during the night watches. I am reliving some of my childhood adventures and dreams and experiences. Ditto for my shipmates. Renier and Dawid have been friends for long years, since their school days. I gather from their conversations that they are both having flashbacks from the days of tore. They are discussing people that both have last seen in primary school or thereabouts. From an outsider's point, I would venture that some senility has set in, perchance. But I have the same affliction, and, despite my age, I think it is from mental boredom. Such is the effect on the lack of external stimulus in the world that the three of us are traversing at present. It is very much a psychological journey through one's mind on top of the sea voyage. I thought that I had this down pat after my first Atlantic crossing, having fought all the remaining ghosts lurking in the far corners of my mind. But I was mistaken. There is much in the back rooms of the mind that comes out in the times of quiet, when there is only a little routine work to be done and then brain is mostly idle. 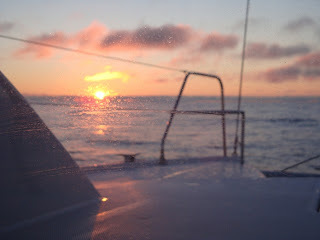 During the previous voyage I only had a few days of this, but this time the weather is so calm that one is less mentally active with sailing and managing the boat. Therefore the brain seeks its own stimulus. The brain wants to be active. It is not good to change one's lifestyle by the throw of a switch without proper planning, so to speak. An extended voyage, however, does exactly this. Also to prepare for the psychological journey in addition to the physical journey. This is why it is good to stop over at St Helena island for a break in the routine. One does one's best to cope with the mental inactivity by reading, in my case doing navigation, or taking language lessons. We have a Spanish language course on board, so we started to have a lesson around lunch time every day. Just ten minutes or so. Keeping the brain occupied with something useful, as opposed to tilting at the windmills of the mind like Don Quiote of old. So far it has worked, using the peer pressure to keep the discipline alive. But I think the calm weather may just wear our resolution down. Luckily we are just 320 nautical miles away from St Helena island. We should reach it by Monday late morning. 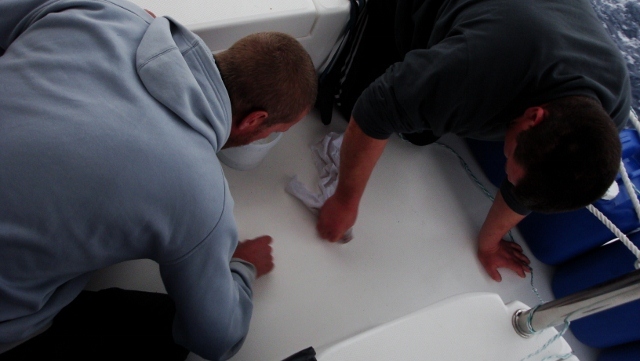 That would provide some variation in the day and allow us to break the strict routine of managing the boat under way. We shall be buying some necessary provisions that got left behind due to our hasty departure from Cape Town between two cold fronts. And take a tour of the Anglo Boer war cemetery as well as Napoleon's last home. Just by way of doing something else, the last chance of doing so for the next thirty days. Today, life brought home another lesson in navigation, not soon to be forgotten. The lesson actually started about three to four days ago with a niggling thought in the back of my head about the accuracy of my navigation. That little voice in the back of your head that speaks to you, sometimes incessantly. This time around I was worried about my calculations. But it stayed a worried little thought in the back of my head. Until today, when I happened to browse through some of the books on my Kindle e-reader. In a book on emergency navigation (Emergency Navigation, Second edition, by David Burch) I found some pointers to general navigation. Pointers to basic navigation principles that everybody learns, but soon forget, especially when circumstances change. Most of our training happens in a coastal environment, but the real sailing happens on a wide ocean with no land in sight. It behoves one to make the academic material and the practical training your own, to live by it. I went back to my navigation work of a few days ago and revised my calculations, complete with some updates to the notes accompanying the calculations. The magic word is leeway. Every sailboat has it and you need to take cognisance of it, measure it under varying conditions and account for it in your navigation calculations. Just like in your training. The updated plots put us right there by the GPS position. Today was another cloudy day, no sextant sights possible, so I stuck to reading. Like everyone else on board. The wind was steady, as trade winds should be, and the sea relatively calm with a two meter swell. Idyllic sailing weather. It was also my turn at the galley. Dinner was beef mince curry and rice. 1 dessert spoon powder masala. I used some that I bought from a store on the Kwazulu-Natal South Coast, which is in the South Indian style. Fry the whole spices in a dry pan until the flavour comes out, then add the oil, onion and sweet pepper. Fry these until the onion goes transparent, then add the chopped chili and wet masala. Fry until the flavour comes out, then add all the dry powder spices except the garum masala. Add some water lest the dish goes completely dry. The powdered spices must not burn, otherwise you start over because everything will be very bitter. Fry for a minute, then add the beef mince. Fry until the meat is nice and brown, then add the tomatoes and potatoes. Simmer the dish until the potatoes are done. Take one or two of the potato cubes, mash them and put the mash back in the pan to thicken the sauce. Add the frozen peas and the garum masala as garnish and cook through. Add some salt to taste. Then dish this lot up on a bed of rice. This is enough to feed three to four people. Enjoy the dinner! The day dawned cloudy and grey. A thick woollen blanket obscuring the sun, but not our spirits. No rain, but thankfully a cool day where we didn't have to wear wind breakers or thick jerseys. Unfortunately also hardly any wind. Today was the third day in a row where it was impossible to take a sun sight, or any other sight for that matter. I shall have to use some form of dead reckoning as a start to the navigation on the next clear day to enable my sight reduction calculations. Another challenge for primitive navigation methods not to take a peek at the GPS. We are now closer to St Helena island than any other dry land on earth and hope to reach the island by Monday morning. A distance of just under 600 nautical miles remains. We are at present sailing along at just on six knots, nice comfortable speed in the flat sea. I say it is rather enjoyable, but from a different perspective it is rather like driving through the Great Karoo in a slow car. Or Texas, if you are from that neck of the woods. St Helena is one of the more remote places on earth and can only be reached by sea. This will change soon, as they are getting an airport. This should open this island to the world. They have a local radio station for the population of around 4000 people. A quaint little place, where Napoleon Bonaparte spent his last days in banishment and where a number of my forefathers lie buried after being interned on the island during the Anglo Boer War. We used the opportunity to do some required maintenance around the boat, as well as some preventive measures against chafing and other forms of long term damage to the boat. Things that will prepare you for the more stormy days, which may ease your misery. We also made a start at cleaning the decks of scuff marks and the odd rust spot. Rust spots on a glass-fibre boat, you ask? We get those from the fallout from steel grinding, blown across the harbour while still in Cape Town. These little pieces of steel then sits on the deck and rusts into the deck. A pain to remove if left long enough. That is why we take a toothbrush or two on board to use along with rubbing compound. We got a gentle reminder today of the corrosive nature of our environment, scraping layers of pure sea salt off the foredeck hatches. A useful source of the stuff should we run out. Nicely crystallised too. Your own fresh sea salt. The mind boggles. My second batch of bread was baked this morning. 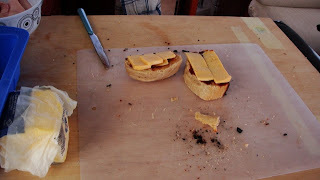 After removing the dough from the fridge to thaw a little, I cut the dough into two pieces before shaping them into two loaves. These were left to rest for another forty minutes before the oven was switched on at about 190ºC/375ºF. I judged the oven to take about five minutes to get to temperature, since it is a small oven. Added thirty five minutes to that for baking time and then switched off, leaving the loaves in the oven to cool off slowly. They came out a beautiful light brown colour and tasted divine. One loaf was consumed forthwith, the other is sitting on the work top patiently awaiting its fate. We opened a can of strawberry jam for the occasion. Our little sprout garden on board is growing well. The fenugreek sprouts have gone into the refrigerator, waiting for tomorrow's salad. Perhaps again a tuna, noodle and mayonnaise salad, maybe this time with a dash of onions and definitely the sprouts. They go well in a light salad for lunch. We are possibly running into a very real problem in that we may soon have more sprouts than we can consume at the present rate of production. Interesting problem to have. I shall cut back on the production. Whatever the case, the produce is delicious and the fresh veggies are much appreciated by all. This afternoon I came to realize just how much music we have on board. I think I shall need at least ten more deliveries to listen to it all. Between the three of us there is a wide selection, both in spread and depth. Any genre, with a large choice in every genre. At the moment I am listening to an impromptu play list, complete with Anne-Sophie Muller playing Mendelssohn's violin concerto, Pink Martini and Anna Davel, amongst others, each doing their thing as well. This blog also linked to Yeastspotting! Interesting day that we had today. Cloudy and mostly overcast, but no rain. The wind behind us at around fifteen to twenty knots, pushing us gently along. The weather stays cool at just over twenty degrees Celsius (around 68ºF), but it is discernibly warmer than a week ago and we are wearing rain jackets and wind breakers only when outside for extended periods. No fish was caught today, probably because of the cool and overcast weather. We are still praying for the wind to stay. 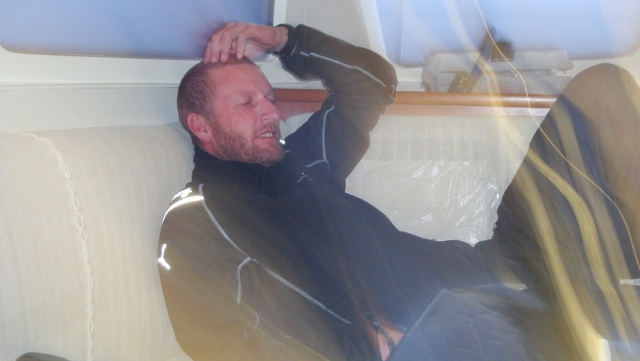 We sailed without motoring now for over 48 hours and only had to run the engines to charge the boat's batteries. A blessing, no less. We had toast, boiled eggs and a Vienna sausage each for lunch. It appears that lunch is getting slightly more formal than on my first Atlantic crossing, where each had his own slap-up lunch in his own time. Having lunch together adds something to the camaraderie on board. It also says something about the level of physical activity on board. We are sleeping less than on the previous voyage due to the mild weather and therefore less exertion when on watch. The result is that Renier, the skipper, and I, are reading voraciously while Dawid, strictly a poor reader according to himself, has taken to reading avidly. Interesting how circumstances changes one's habits. Incidentally, Dawid gave up smoking and is using this voyage as a form of cold turkey to kick the habit. He came up from his cabin after his siesta this afternoon, remarking that only now did he realize that he had been an occasional smoker for basically all his life. On further enquiry on this remark he expanded by saying that he had had no withdrawal symptoms during the voyage thus far, a period of eight days. According to him that means that he has no chemical addiction or dependence on the nicotine, ergo, occasional smoker and just a mental habit. It seems that siestas on board do go a long way towards discovering inner peace and knowledge of one's inner self after all. Much to say for a slow voyage, forsooth! We have more air time on our satellite phone than on the previous voyage, thus we have more contact with the outside world. All three of us are either married or in a long term relationship and news from home is welcomed by everyone. And the form of the news is interesting. Each one of our loved ones has her own special turn of phrase when compiling a message. So, when the new message prompt comes through, showing the first few words of the message, one can decode who the message came from. For example, all messages coming from Carol start with the words: “Hi Old Sweetie, ...” One can even tell the mood of the sender by any variation in the salutation or ending of the message. We decided that there is a significant difference between one, two or three X's at the end of a message. There is some light hearted side-betting going on about the predicted number of Xs in the ending. A source of great mirth and friendly jests. I started my next loaf yesterday by adding half a cup of sourdough to half a cup of white bread flour. This was mixed with a little lukewarm water and left to activate overnight. I was expecting a bubbly froth, but no avail. The leftover sourdough was fed with some white bread flour and at least that was bubbling away after about three to four hours, a good sign. I consulted my book of words (Classic Sourdoughs, Revised: A Home Baker's Handbook by Ed Wood and the Estate of Jean Wood), which pointed out that I need to more patient, my dough was doing OK. 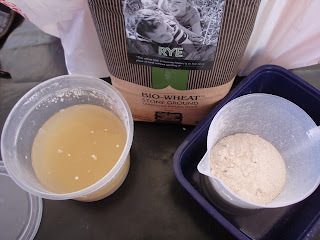 I let the proof ferment overnight, then added to that half a cup of rye flour, one cup of whole wheat flour, one cup of white bread flour and some salt. This was thoroughly mixed, adding water a little by little, until a stiff dough was obtained. I kneaded this for thirty minutes, adding another half cup of flour in the process through flouring the kneading board. This dough was declared complete and put in a lukewarm oven to rise. I left this to rise for five hours. This time the dough rose properly, but sagged a bit on removal from the container. I added in some rye flour, of which I have much in supply. This I did by kneading and folding the dough on a well-floured board. 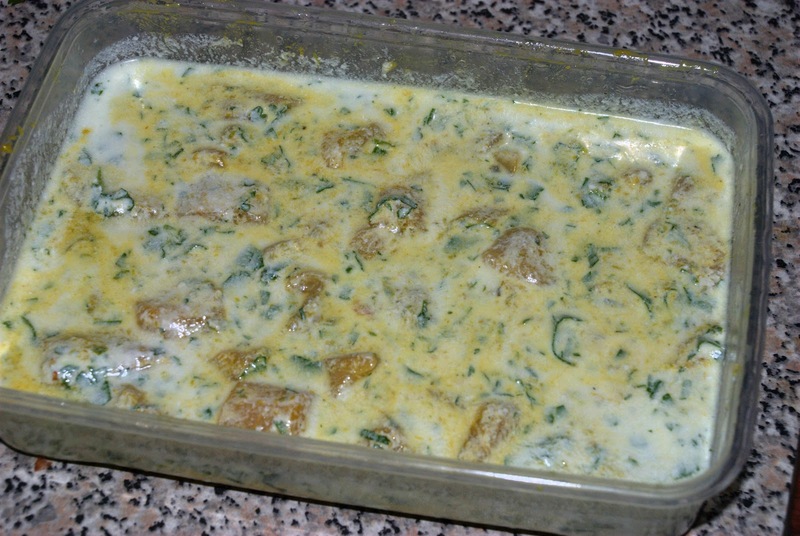 This went back inn the now cold oven to rest at 20ºC /68ºF until tomorrow, when the baking shall proceed. This time I have high hopes. However, after supper, when I checked on progress, I found that the dough had not gone to rest, but is happily rising some more. In fact, it was climbing out of the container. I decided to pull rank on this lot and put the dough in the fridge. I shall let it out and thaw some before baking the loaf. The way it rose tells me this lot will make two medium sized loaves. It appears that I have a very lively yeast after all, but need to exercise some of my own patience a bit more. We found the wind at last. Or rather, the wind found us. The wind picked up yesterday around midday and have not subsided. In fact, it freshened and we are sailing merrily along at just on six knots. The weather is mostly overcast and cloudy, with a high pressure. Exactly what we want. The wind is subsiding a bit towards late afternoon, but picks up again in the morning. In the field of navigation we are seeing exactly what leeway entails. The boat is drifting away from the wind at right angles to our set course. This is visible on the sight reduction plotting sheets and can also be derived from the GPS display of the boat. The leeway would have put us several tens of nautical miles north of St Helena Island. Which means downwind of the island, a most uneconomical and uncomfortable position to be in. It will cost lots of diesel to get back upwind to the island, never mind the splashing into the swell. We adjusted course and now have some 'money in the bag,' in a manner of speaking. Sailing theory applied. Some of the yachtmaster course material did stay stuck after all. 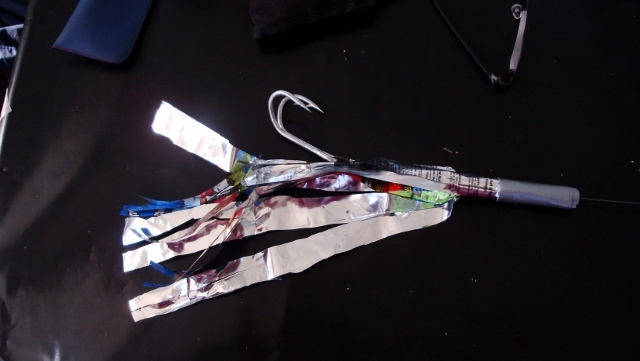 My potato crisp wrapper lures continue to be a source of merriment, but they work extremely well. To date we have caught no less than five snoek on those. Problem is that the lure only lasts for one snoek, due to the snoek's razor teeth. A huge success, no less. Our after dinner card league is now getting into full swing. We play a game called Uno. Quite hilarious, the emotions and expressions that come out during the game. Renier keeps score and it becomes a wailing wall, so to speak. The Super 15 rugby scores of the weekend came through by text. Another source of light hearted rivalry. Some favourite teams lost badly, but South Africa will have a team in the finals. There is a definite lifting of the spirits on board ever since the wind came up. Both the skipper and me were getting jittery about the diesel consumption and our jittery-ness was beginning to leave a trail of bad vibes on board. Now, after sailing non-stop for more than 36 hours at an average of just under six knots, the vibes on board are much more positive and a happy mood has descended on our little boat. Today was my turn at galley duty. 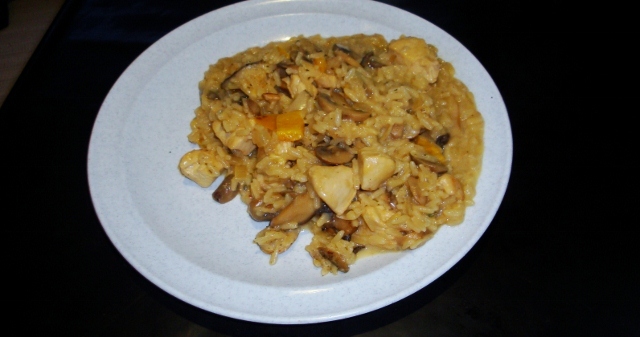 Dinner was a risotto with chicken and mushrooms, a simple dish made in one saucepan. In our case the saucepan is the wok. Our cooking utensils consist of a wok, a small pot and a medium size pot. Whatever food we cook is made in one or more of these. 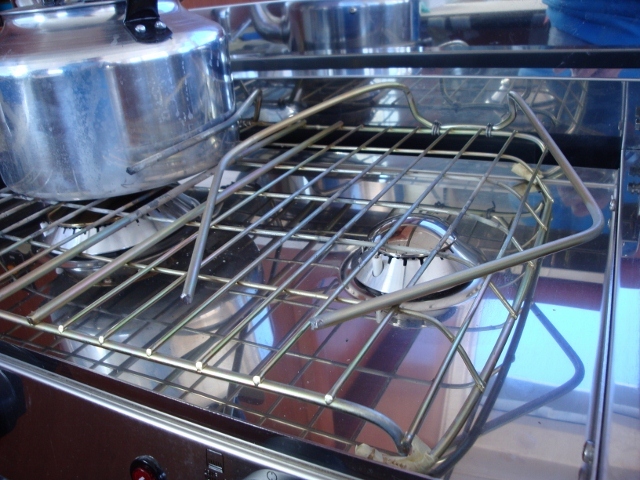 These go with a small two burner stove, where the medium size pot and the wok do not fit together on top. It makes you think twice before starting a dish. This risotto was made with normal parboiled long grain rice. Not the best choice, but this is what we have on board. 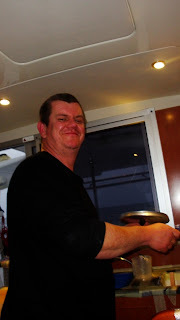 Renier, our skipper, had three helpings. Dawid, the crew, had two helpings, while I had one. Renier scraped out the wok. Tough on the one who had ideas of a late night snack on leftovers while on watch. But a compliment to the cook, with requests for another one later on. It pays to do some experiments before a trip. 250 grams deboned chicken, cubed. Rehydrate the shitake mushrooms in 1 cup of hot water, then chop them reasonably fine. Use the water that they soaked in to make the stock. Fry the chicken in the oil until brown, then remove it from the saucepan. Now fry the onions and sweet peppers in the oil and juices left by the chicken. 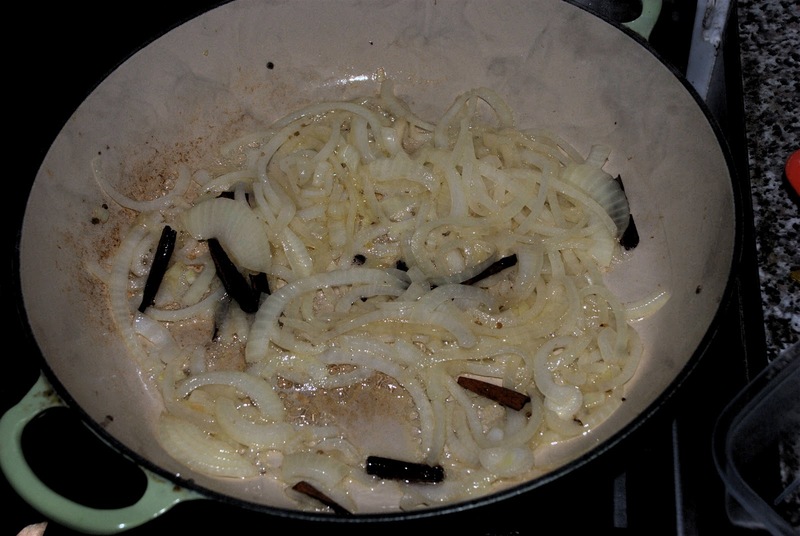 When the onions become glassy, add the hot chili and the garlic and fry for another minute or two. Add the uncooked rice and fry it in the onion mix. Keep on stirring the mixture to ensure that it doesn't stick to the bottom of the pan. 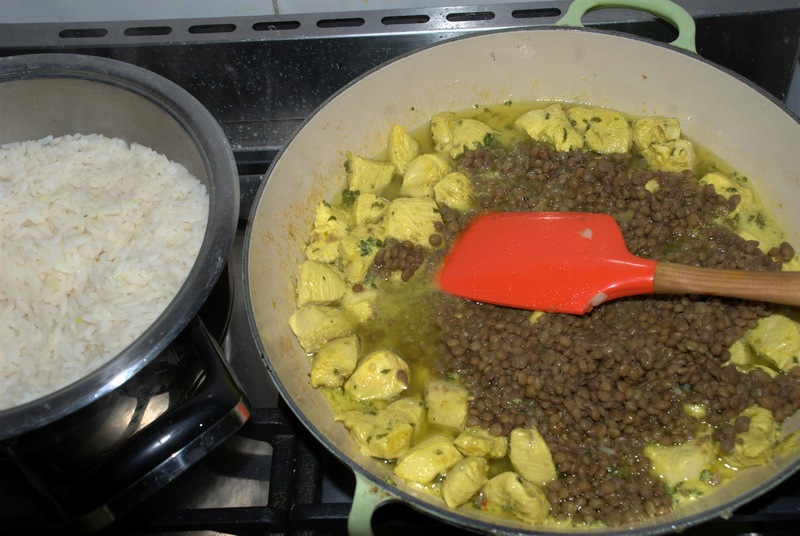 Add all the white wine and keep on stirring, making sure the rice absorbs the juices. 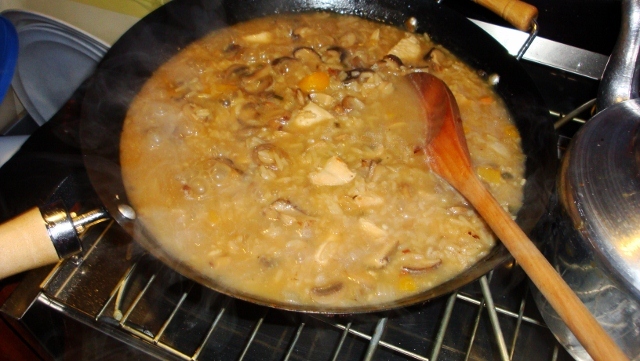 After the wine has been absorbed, add the chicken or vegetable stock and continue to stir. Add more water as required, keeping the dish mushy. Test the rice frequently to check that it does not overcook. When the rice get to an al dente stage, add back the chicken and all the mushrooms. Keep on stirring to make sure the dish doesn't burn, else you will start from scratch. At the end, add half a cup of fresh cream and garnish with spring onions and some grated parmesan cheese. Turn off the heat, add salt and pepper to taste, rest the dish for ten minutes, then dish up. Today we turned off the engines for the second time since departing Cape Town. The trade winds came through early this morning, before the last stars disappeared in the silent pastel colours of the dawn. They were weak at first, like a shy girl entering the ballroom on her first date. But now the wind is carrying us gently along on an azure sea. The boat is making happy creaking sounds as she moves gently through the water. Hopefully we have now found the steady trade winds that carried sailors over hundreds of years along this route. The lack of wind was beginning to show in all of us, getting worried about our fuel reserves. We have some romantic jazz playing on the sound system, making for a nice balmy afternoon, even if the weather is still quite cool, around 20ºC/68ºF. My sourdough is still alive and I plan to bake another bread in two days' time. This is how long it takes to get a fully activated yeast in this weather. Or so much I gather from the the books I have at my disposal. The next loaf will be without rye flour, that I may get an idea of the activity from my yeast. The low temperatures do not make the task easier. The first loaf went fast, we shall see about the second one. Today I made a tuna mayonnaise noodle salad. Three blocks of two minute noodles, two cans of tuna in brine, three spoons of mayonnaise, completed with a cup full of home grown mung bean sprouts. A welcome change from the normal flavouring that comes with the two-minute noodles. One can actually taste the bean sprouts. I started some broad bean sprouts to replace the mung beans we consumed. There is now some fenugreek sprouts growing as well. This part of our culinary experimentation is working well and providing delicious food. Something that I shall be doing at home as well. It is worth the effort and a lot more economical than buying sprouts from the local greengrocer. Today we are a week at sea already. It does not feel like a week, though. We have settled into an easy daily routine and all of us had at least two turns at cooking. The standard of cooking is quite up to scratch, if not cordon blue. No slapped together dinners here at all. A nice touch, keeping the morale high and your shipmates happy. There is not much choice in what one can make, being limited to the ingredients on board. But there certainly is a lot that one can put in in terms of attention to detail and process of preparation, which makes a huge difference in the outcome. And it speaks of a respectful relationship aboard, something to cherish, that will carry us through the vagaries and the hardships this voyage. Necessity is the mother of invention, so I am told. In our case, the old adage rings true in more than one case on board. We are using very primitive means for the backup navigation, as well as very primitive home made lures for fishing. Today I hauled out the sextant and dusted off the cobwebs gathered from our last sojourn. After some soul searching and scratching of the head, in addition to some revision work, I managed to take three sun sights in short succession. These reduced to lines of position within two or three cables from one another. This gave me the personal satisfaction that my previous experience have paid off and something useful stayed stuck. 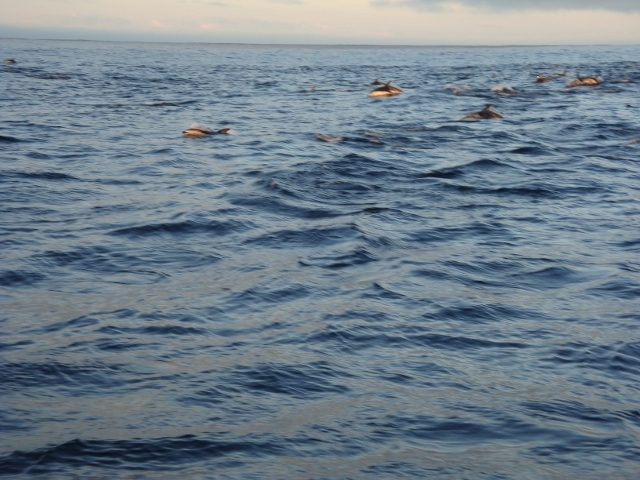 The closeness of the sightings confirmed my proficiency with the instrument. I took another set of sights hurriedly late this afternoon. These were not so accurate, but the two sets of sights and the calculations on distance sailed in between gave me a fix that differed from the GPS by only eleven nautical miles. Eleven nautical miles is still on the horizon from the boat, therefore accurate enough for the navigation required at present. We are far away from the coast and any little rocks that lurks in the middle of the ocean. There is a cold front passing Cape Town today. We think that this cold front stole our trade winds. We are still motoring along with the genoa out in the gentle breeze, but going a lot slower than expected. Our prayers are for some trade winds to carry us on our voyage. The other primitive thing that came to the forefront today was the success of the potato crisp packet lures. We had a significant success rate using these very simple and primitive lures. No less than two snoek were caught on these lures today, all going back in the water. We have enough stock of snoek in the freezer. Needless to say, the lures were destroyed after having to deal with the snoek's teeth. The repairs literally take only a minute, then the lure is back in the water. Luckily, there is no shortage of empty potato crisp packets on board. The weather is warming, but the air is still crisp with the ambient temperature hovering around 19ºC. Along with the little wind that there is, we are still feeling a bit wintry. We all took a shower today. This boat has means to warm the water when the motors are running, so the shower was quite refreshing. When the weather gets warmer, we shall be doing some serious washing of the clothes that we wore until today. The day dawned breathless yet again. But what a sight! Pastel blue and pink skies in the west, with a hint of stripey clouds, somewhat hazy. A balm to the soul. We motored the whole day in basically windless conditions. A lazy zephyr every now and then. Navigation instructions for getting to St Helena island from Cape Town appears to be: sail north along the west coast of Africa till you get to the town of Luderitz, then turn a bit left if there is wind. Else, go further north till you find wind, then turn left. If you bump into Africa far north, you have gone too far. I know this is not accurate, but it gives an idea of the navigation decisions to be made. And it is relatively easy to explain to those not deeply involved in navigation. Today was the day of baking bread. The first experiment with the gas oven proved to be a bit beyond me. I removed the grid in favour of putting the baking tin directly on the plate. This gave me some more height in the small oven for the bread to rise. Wrong idea. The silicone baking tin did not like the heat from below and burned. Luckily the bread wasn't spoilt. In fact, it was consumed at such a pace that I hardly had time to take a photograph before it was finished.! 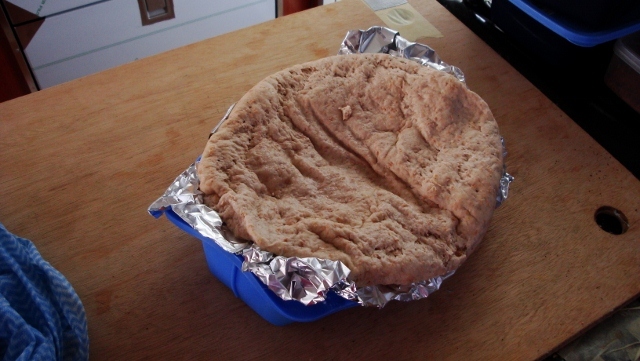 The bread, however, did not rise as expected. This could be due to several reasons, which I then researched thoroughly. (I actually brought an e-book or two along!) It has something to do with the sponge that I made with rye flour instead of white bread flour, as well as the sourdough not being sufficiently activated. I just hope and pray that my sourdough did not get infected by another yeast which killed it off. After some deliberation, I washed the sourdough and fed it half a cup of white bread flour. The ambient temperature is on the low side, with no specific warm areas in the boat, so there is another source of worry. Only time will tell. Thus far the washing and feeding part seems to have worked. The sourdough is merrily bubbling away, smelling a bit like pineapple beer. I shall put it in the fridge later on. The next loaf will have less rye and the sponge starter will be made with wheat flour. We also caught our first fish today. A snoek, no less. 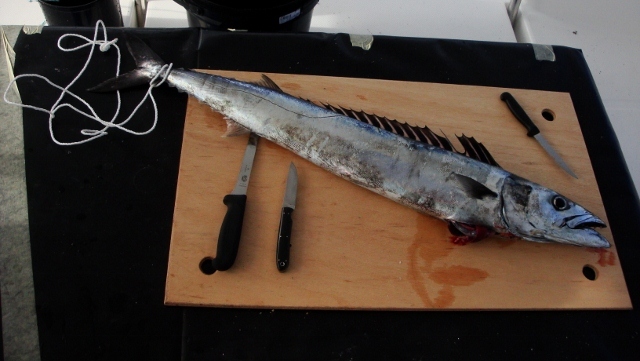 Queen mackerel for those from other parts of the world. I was a wee bit worried about how to prepare the fish, as it has a somewhat oily flesh. At home the fish would normally be prepared by having it smoked, barbequed or poached. Only the poaching is open to me here on board, in addition to frying in oil, something perhaps to be avoided. I was somewhat undecided, worrying about this oiliness. In the end I made up my own variation of cajun style spices. I rolled the fish in that before frying in the pan. 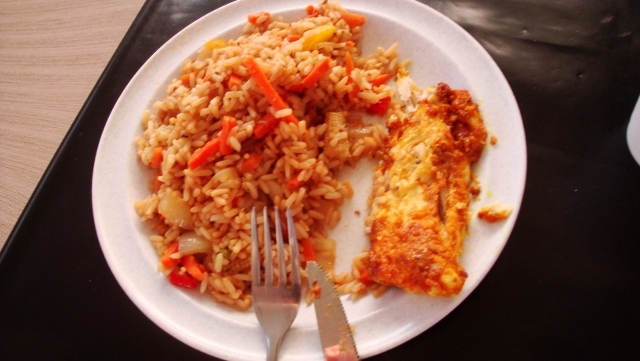 This was dished up with vegetable fried rice, complete with the first fruits of the sprout growing experiment. The fish came out very tender, still juicy and very flavourful. Snoek is a very bony fish, but luckily the bones are big and easily removed. 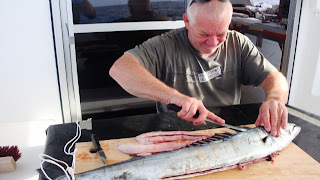 It is a wonderful experience to eat freshly caught fish. It just has something different to it. I did not bother with salt on these. Mix all the dry ingredients in a small bowl. Roll the fish fillets in the dry mix, then fry them in a lightly oiled pan. Fresh mushrooms. These can be chopped or left whole if they are small. I forgot to add these. Easy and simple. Stir fry the vegetables in a lightly oiled pan, add a dash of pepper to bring out the flavour, then add the cooked rice and mix. Add a dash of soy sauce and voila, you have a quick dinner. If you want to be fancy, fry some fresh ginger and garlic with some white pepper in the oil before adding the vegetables. 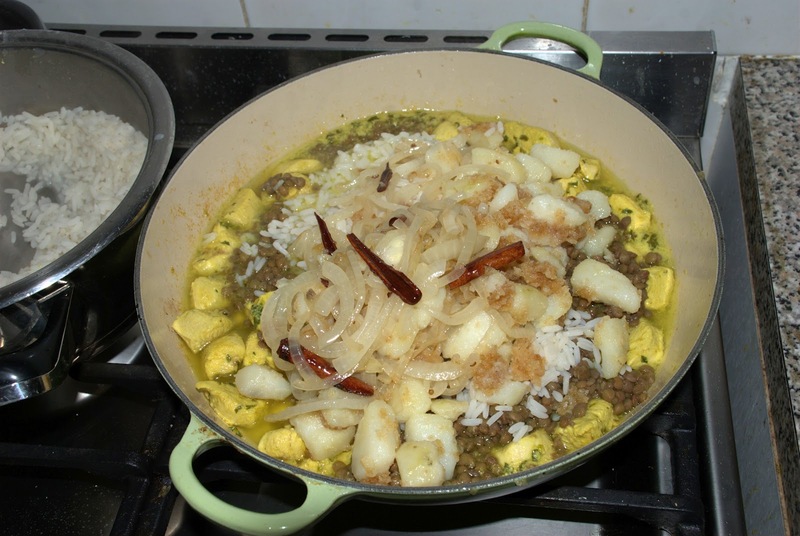 This will bring out the flavours even more and add some zing to the dish. 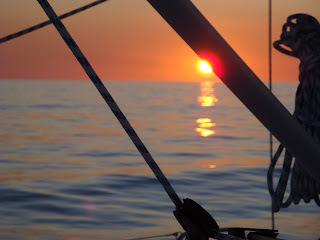 Thursday 19 July dawned with a light headwind that soon freshened. 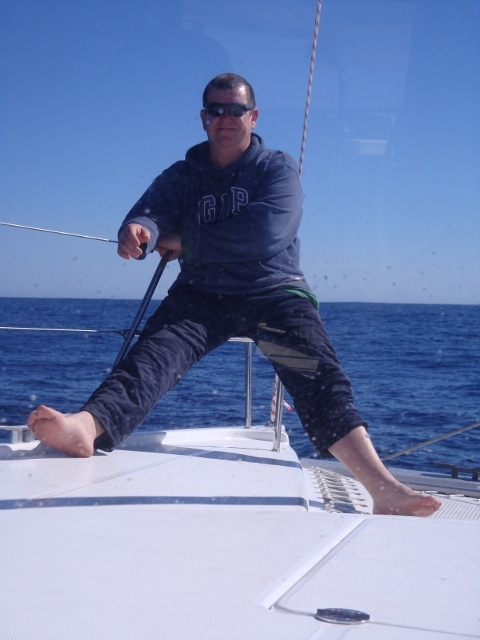 The skipper did a twenty degree turn to starboard, enough to use the breeze and so save on fuel. We need the fuel for the doldrums later in the voyage. I was on duty 09h00 to 12h00. The sourdough starter that I made yesterday sat quietly fermenting in the cold oven. It was smelling quite delicious, a bit sour, but not ugly. I added a cup and a bit of white bread flour and mixed it thoroughly, adding a dash of salt. After some decent kneading, helped along by having to use my kneading hand as a prop due to the choppy swell, the dough was put in a lukewarm oven to rise. Towards the end of my watch the dough had risen to double its size, so I promptly kneaded it down. Then the dough was folded and flattened for about five minutes or so. Then it went back in the cold oven to rest until tomorrow, when we shall bake it in our gas oven. A first for me, no less. I have never used a gas oven before. Now I do it on a heaving boat in the middle of the ocean. The sprout growing experiment seems to work very well. I am leaving the alfalfa sprouts to grow some more, but I am a wee bit worried that the quantity may be up to one mouthful only. I'll use it in a coleslaw then. Or make some sandwiches for lunch. The imminent cold front forecast for today and tomorrow seem to have passed us with only stealing our trade winds and giving us some cold air. As I am sitting here typing these words, the clouds have disappeared over the far south eastern horizon. There is a thin line of fluffy clouds still visible on the east horizon. Hopefully a portent of the trade winds. We even had some light foggy conditions overnight, but luckily not enough to be dangerous. The visibility was still over half a mile. The wind picked up around two in the morning and blew all of it away. A bit like the straw house of the piggy. Our ride was a bit bumpy today, sailing into the short choppy seas. Not really comfortable, but thankfully only about 1.5m high. We made an experiment with a video clip on my small camera. It worked, even if my croaky voice is the best sound available over those of the boat and the sea. We are all into a big psychological chill, it seems. All of us are experiencing weird dreams, of which apparently none of us remember anything afterwards. I know I had a dream in which my English teacher from my school days figured, but that is all I can remember. I suspect that this is all part of the psychological detoxing happening to us. Part of the metamorphosis into this world of sea and wind and your inner self. Lots of emotions to experience while on watch in the wee hours of the night. Some nice soothing music to listen to when everyone's awake in the afternoon. When the crew on galley duty is performing his magic to feed the rest of us, complete with the smell of the food, the sounds of the sea accompanying us. No wonder you feel a pang of anger when you see land again. Day three dawned on a magnificent blue ocean, hardly any swell and an open sky. Not a cloud in sight. The barometer showed 1020 hPa, a high pressure. The wind was on our bow, so we are motoring. We are just west of Port Nolloth, a small harbour on the west coast of the Namaqualand region of South Africa. What a change from the misty drab grey skies of Cape Town when we left. Our sprout growing experiment seems to be bearing fruit, literally. All the seeds have sprouted. Now we wait for them to grow a bit bit bigger before we shall consume them. Perhaps with two minute noodles and some canned tuna. Perhaps we may even catch a tuna, we have the lines out. Then we can have fresh tuna mayonnaise and sprouts with the noodles. Or perhaps just sashimi with soy sauce and wasabi. Till it runs out of our ears. Whatever the case, it is really reassuring to know that we can have fresh vegetables every day. 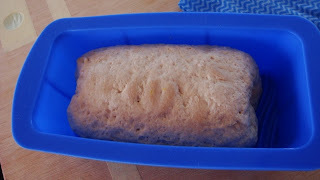 I also started a rye sponge to bake bread in the morning. This looks likely to be another success. The rye sourdough that I brought from home appears to be quite happy to sit in the bottom of the cupboard where it is relatively cool. It has slowed down on fermentation, but hasn't gone into hybernation, so to speak. I shall keep a beady eye on its health and put it in the fridge when we get into the tropics. Our ambient temperature on board is around 18ºC/64ºF. This relatively low temperature may work wonders for yeast development, slowing down the growth of lactobacilli so that the balance of yeast to lactobacilli will be good. I fed the remaining sourdough yeast with rye flour and am expecting it to grow the wild rye yeast aggressively. 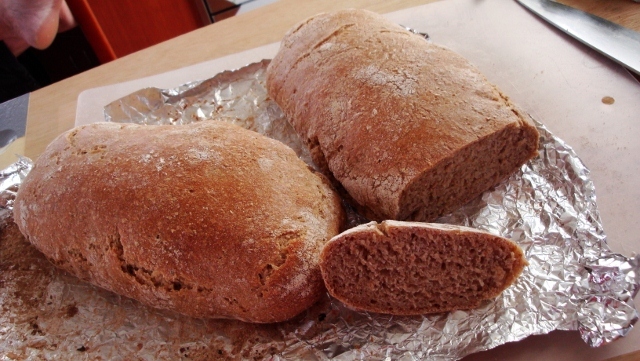 The bread sponge starter was made with half a cup of rye flour and some water added to the sourdough. 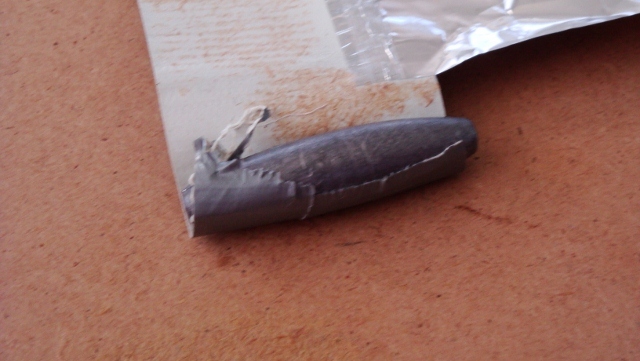 This I made into a soft paste. Now we wait. The weather is so fine that I am contemplating starting navigation lessons for the rest of the crew. I use the word contemplating, because all of us are still settling into the routine on board. The calm sea does wonders to help this along. All of us are getting proper sleep and rest and the routine on board is developing a nice calm rhythm. Last night on watch duty was good. Twelve to three in the morning. One gets forced into a de facto meditation situation, which detoxifies the mind and spirit. There is hardly any traffic, the wind is light, the sea is calm and the skies clear. The milky way casts a light path on the water, both sides of the boat. 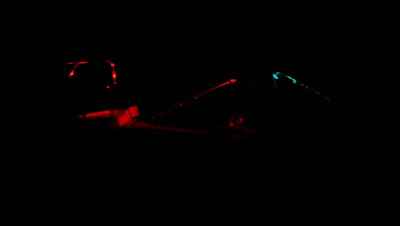 Every now and then some chokka (squid) casts a light as the boat passes, rather like a camera flash going off. 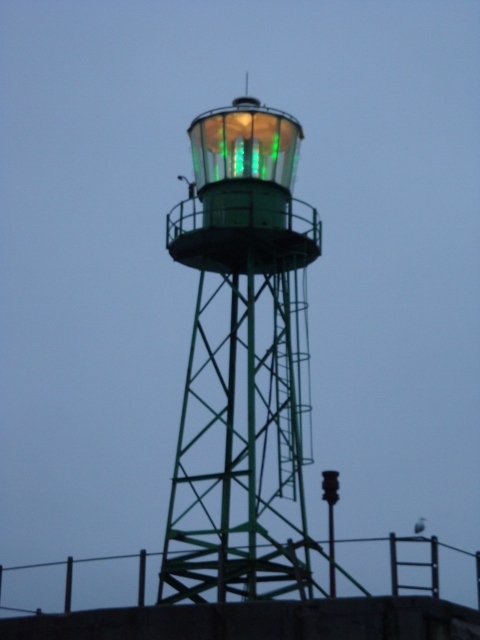 On my first Atlantic crossing I did not know what it was and was a bit scared the first time I saw it. Now it is a welcoming back gesture from the sea. All the old familiar experiences folding about you like a glove. T E Lawrence ( Yes, the Lawrence of Arabia) writes in Seven Pillars of Wisdom that the Bedouins believe in God through their experience of the desert. They don't go to church or do the Western style thing of worship. To them, God is evident in everything around them and there is no need for worship in a building, so to speak. Their God lies in their experience of their world through their eyes, ears, touch and feel. I get the idea that things at sea go pretty much in the same vein. No need to dress up and worship in a church. There is much of God about us. If you don't believe in God, think Karma. And the voyage is somewhat of a sacrifice in itself. Yes, you take all the food and drink and fuel that you think you need. But you are cut off from the world in other senses and have to fend for yourself. Especially in looking after the boat. For if you don't, dire things will happen at all sorts of inconvenient times and places. And your dependency on the world around you is pretty obvious from the moment you leave harbour. If the sea is not calm, you will sleep fitfully if at all. And your endurance may be tested to the limit. Not something that you will experience around your methinks. So here we sit, enjoying the sun, albeit in a somewhat cool breeze. We are listening to Maria callas and Ella Fitzgerald and Tom Jones. And more. A balm to the soul, with the motor droning quietly away at its labours of pushing us along. Sometimes you realise that there is a God and that He looks after you and cares for you. We left Cape Town around 06h30 yesterday morning in misty and rainy weather, expecting nothing better for the next five days. We were, in fact, expecting heavy seas to boot. And what we encountered was beyond our wildest dreams. The sea was flat calm, no wind to speak of and the visibility was good to very good from about a mile out of the breakwater. We carried on to motor for the rest of the day, dodging the odd big ship, until 23h00 last night. Then the wind came up. We were just past Saldanha Bay on the West Coast at the time. The wind was on the starboard quarter and blowing at a steady 15 knots, about 35 km/h for the land lubbers. It has since picked up to around 20 to 22 knots and we have been able to sail at a steady 6.5 knots since 11h30 this morning. 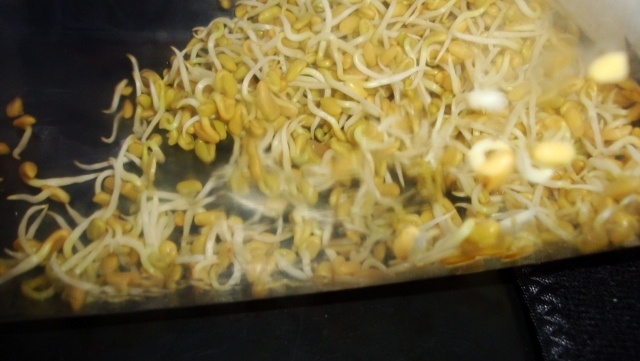 Last night we started our experiment with growing sprouts. We chose alfalfa because it apparently grows the easiest. One teaspoon, levelled, of seeds was washed and then soaked overnight in lukewarm water. This morning I washed them and they are now quietly germinating. Hopefully. Tonight is my turn at galley duty. 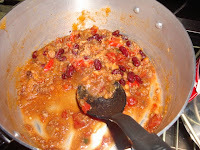 I am making a chili con carne, served with chapattis. We don't have the right flour to make tortillas, but making chapattis is easy. These little Indian breads are made without leavening. The ingredients are bread flour, water and salt. And the little vegetable oil or ghee that goes from your hands to the dough during the kneading. For this lot I used white bread flour, but you can use any wholegrain flour. The salt and one cup of flour is mixed thoroughly, then water is added a little at a time to the maximum of one cup. 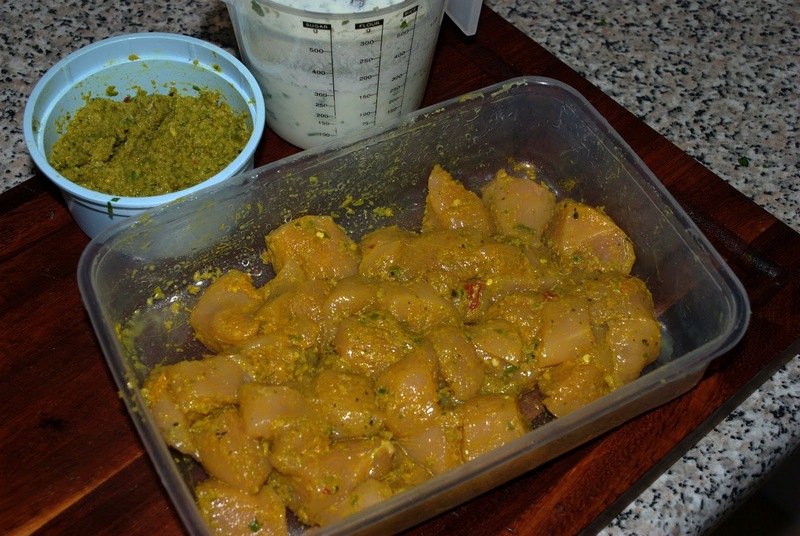 Smear one hand with oil or ghee, then use that hand to mix the water and flour to make the dough. The dough will become a soft ball after some mixing. If it doesn't, add more flour until it does. The dough should pick up all the flour from the mixing bowl. Once it gets to that state, take it out and knead it on a hard surface. The kneading is done in a very specific way. You flatten the dough ball, then fold the edges inwards, following around the ball. This will capture air bubbles in the dough that will allow it to rise during the baking process. The dough will become increasingly stiff. Carry on kneading for another five minutes, then set the dough aside, cover to prevent drying and leave to rest for at least twenty minutes. I was on duty this morning, so my chapatti dough have rested six hours. Now take the dough, knead it some more, then roll it into a long cylinder of about 50mm thickness (2 inches). Cut the cylinder into sections of the same as the thickness and roll each section into a ball. Each ball is now rolled out thin, smeared with a little oil, dusted with some dry flour on top, then folded inwards from the edges and rolled out thin again. One outside is then smeared with ghee or vegetable oil and baked in a dry pan until it starts to make bubbles inside. 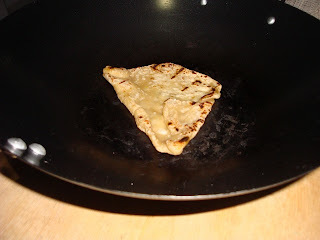 The top is then smear with oil, the chapatti turned over and baked on the other side. 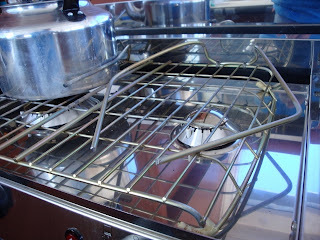 When it looks done, the pan is taken off the stove and the chapatti put directly over the open gas flame. This will cause it to puff up and only takes a few seconds. All of the above takes about five minutes, from the rolling out of the dough ball until it is cooked. 1 teaspoon of chopped garlic, else one clove of fresh garlic, chopped. This dish needs chili and garlic. The method is easy. Fry the coriander seeds in the oil until the flavour comes out. Then add the chopped onion, sweet chili, garlic and hot chili, Fry these until the onion goes glassy. Then add the mince, Fry until it goes brown, then add a dash of soya sauce. Add the tomatoes, then simmer for ten minutes or so. 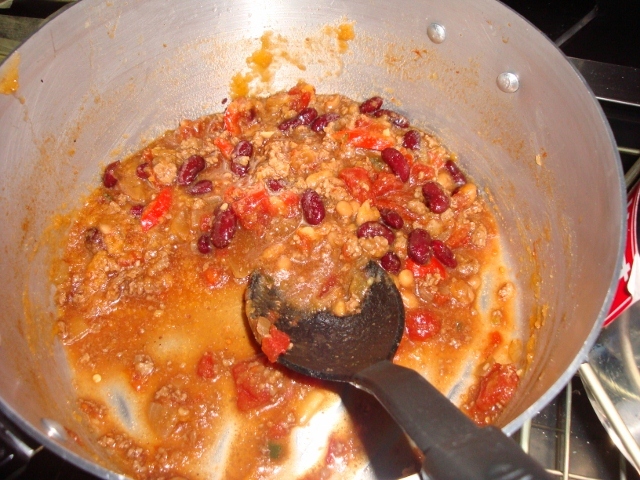 After that, add the beans and cook until everything is properly hot. Mix thoroughly. Turn off the heat and let it stand for ten minutes to develop flavour. I use the simmer and standing time to cook the chapattis. 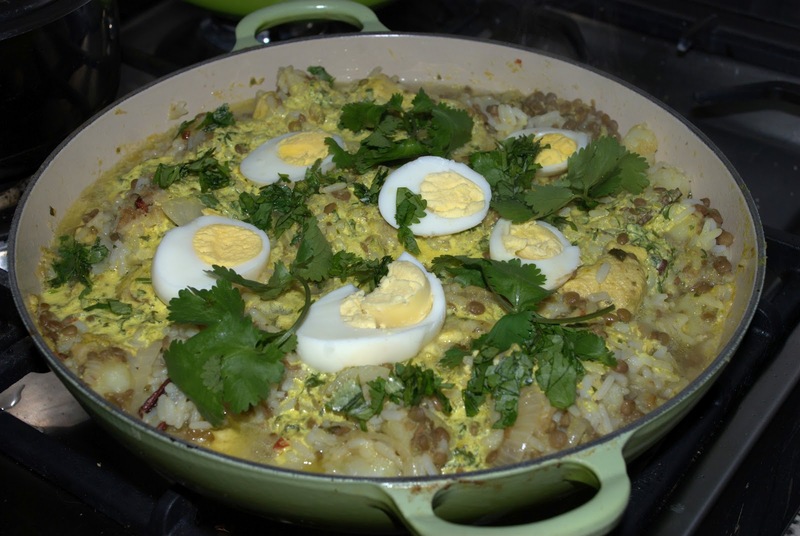 That's it; a one pot dish that is easy and tasty. The chapattis make a welcome change from other side dishes and it is fresh bread. 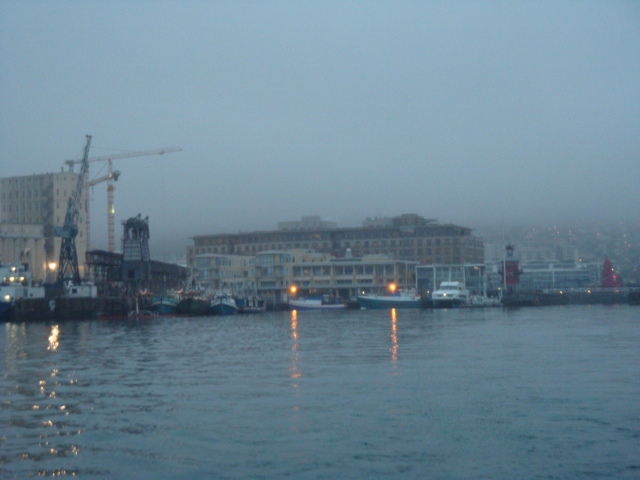 It is Monday morning in a cold, wintry Cape Town waterfront. The mist lies thick on Table Mountain. There is hardly any wind. But it is departure time. Rise and shine at six, a quick shower, coffee and a rusk and we are ready. Waiting for enough daylight, we prepare the lines for our final cast-off from African soil. At last our voyage starts. The long wait is over. And we are back with Macbeth, who said present fears are less than horrible imaginings. True words indeed. The faces are all smiles, the hearts light. We start the engines to warm them, do final checks on the navigation lights and cabin security and off we go. Cast off, stow away the fenders, rig makeshift guard lines across the stern and settle down to the business of sailing the vessel. Well, for now there is no sailing, just motoring. Thankfully the sea is flat and we are making good way. All the worries have disappeared. 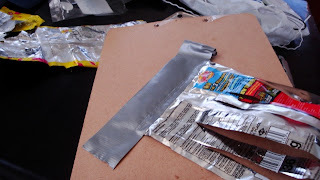 I remembered to take along some extra sinkers to make simple lures for fishing, but forgot to take the innards of a box wine to use as the frills. No problem, we can also use empty potato crisp packets. 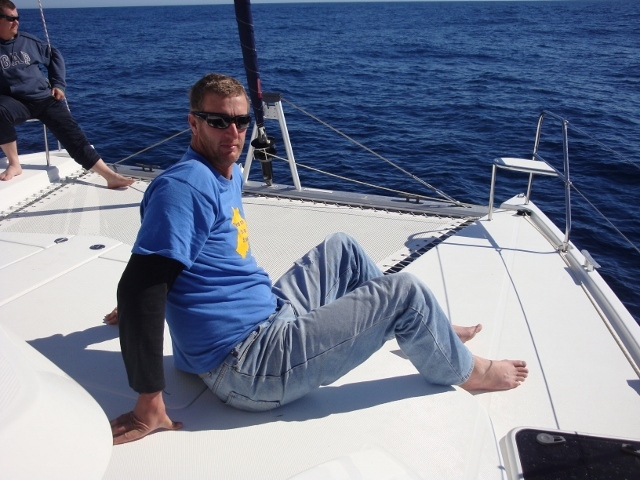 Of which there is a plentiful supply from the snack stock of the skipper, Renier. I also stowed my artificial tears to use with the contact lenses in some place which shall remain a mystery, I suppose. But the voyage has started and peace has descended on the boat. Luckily, there is good visibility just a mile or two out of Cape Town. The sea is mercifully flat calm. This is somewhat unexpected, but very welcome, given the cold air. The weather forecast for the next two to three days also looks favourable, so we are expecting to make good progress during the first part of the voyage. This will take us far enough from the Cape of Storms to be almost out of winter. Sorry for those who have to stay behind! Well folks, the time has finally arrived to put all my experiments into practice. 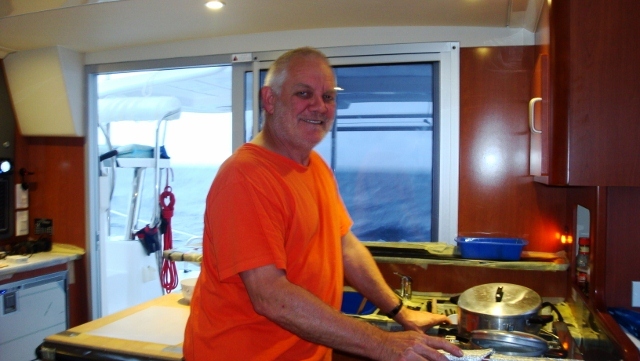 I am the first mate (Second in charge) on a boat for delivery from Cape Town, South Africa to Fort Lauderdale, USA. The boat is a Leopard 39 built by Robertson & Caine in Cape Town. The voyage is quite long, almost 8000 nautical miles. We shall be leaving Cape Town in the middle of the winter, with all the associated stormy weather, then crossing the Atlantic and the equator, to arrive at our destination in the middle of the hurricane season. But, as Shakespeare said in Macbeth, present fears are less than horrible imaginings. One is quite nervous at the start of the final preparations. Lots of things to keep in mind and lots to remember. I guess the psychologists will call it a stressful time. Firstly, there is the boat. Does she have all her fittings? Is all the safety equipment on board? Where did we stow it? And so on. We have long check lists, so it becomes reasonably easy. But this boat does not come with a barometer. Is it significant? Well, we will be arriving in the Caribbean in the middle of the hurricane season. And the only means of weather forecast at our disposal is the cloud patterns, the wind and the atmospheric pressure. We do not have internet access on the boat out at sea, hence the requirement for a barometer. The next aspect to consider is the food. 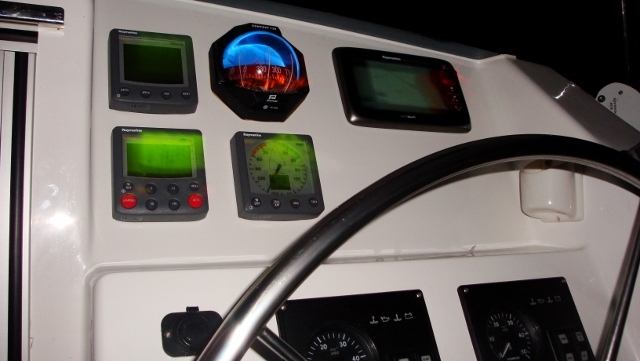 The boat has an auto-helm, so the work load of steering the boat is negligible. However, there is the aspect of crew morale to keep in mind. The boat is quite cramped, even for a catamaran. The skipper is a man of six foot four (about 2 meters). He can barely stand upright on the aft deck and needs to bend a bit to stand in the saloon. The rest of the crew, being the other two of us, are both in the region of 185 cm (six foot). The saloon does not have room for the three of us to be standing at the same time. So one can imagine that one needs some creature comforts on board. The only practical measure is to have proper food at least once a day. Now one needs to understand that fancy food may be very expensive. Also, we do not have sufficient storage to keep fresh food forever. So we experiment. This time it is with baking bread and growing sprouts aboard. 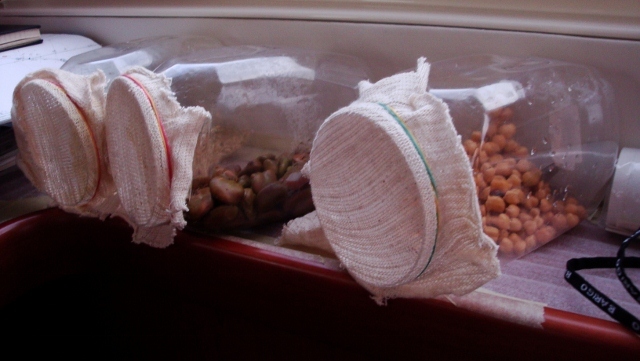 Flour and dried seeds are easy to store. The sourdough perhaps more tricky, but we do have a refrigerator / freezer. And we have to supplement our diet with fresh fish. These we have to catch along the way. So there is some risk there. But normally the fish that you catch are quite large and one fish will provide at least four to six meals. Then there is the navigation, the navigation backup and so on. The sea is interesting from that point of view. One sails for a long time on a sapphire blue sea without any trace of land. In the middle of the Atlantic you don't really see birds any more. It is only when you get near land again that you start to see birds. About a hundred sea miles from the shore. That's your first indication that you are nearing land. Past the Amazon delta the sea changes colour. But to understand where you are and what direction to sail is still a major undertaking. GPS nowadays makes it simple, but for safety's sake one needs to keep a backup system in place and running. So we use a sextant. Quite a lot of fun with no electricity or satellites involved. Lots of paper, though. And the paper charts give you a perspective of where you are on the earth, unlike the GPS that only gives a co-ordinate. You have no idea where that is in relation to the land and reefs. So life is interesting. We also worry about the weather, so we make sure that we can get weather info. In the event that we see bad weather coming, we also have a satellite phone that we can use to phone a friend to search the internet for weather info for us. But still there is a niggling little voice in the back of your head that tells you that you have not prepared properly. And the closer you get to the date of departure, the louder this voice gets. We are now sitting at the dock on a weather hold due to bad visibility. This makes things a bit heavier. We are chomping at the bit, but then things happen that prevents you from getting on with the job. Lots of patience required. I have the barometer calibrated and the clock set up with UT (GMT). The charts are all packed at the ready, the other instruments calibrated, my own GPS antenna installed and working. The boat is all prepared, the upholstery covered, the working surfaces covered, water tanks full and diesel aboard. Time for writing this blog post. Thanks for your faithful visits. I shall be out of contact with the world of electronic media for an extended time. We are delivering a new sailboat from Cape Town to Fort Lauderdale, USA. The boat is a Leopard 39 catamaran built by Roberson and Caine. This is a voyage of eight weeks, with short stops at St Helena Island and one in the Caribbean for water and supplies. I shall post more tales of recipes and adventures whenever we get internet access. We are leaving Cape Town today and plan to reach St Helena Island in 11 days' time, around 26 July. Please keep visiting, there will be more.